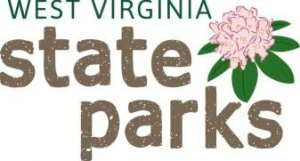 SOUTH CHARLESTON, W.Va. – Meet with staff, learn about West Virginia’s state parks and enjoy activities with family and friends the first weekend of March. Many parks are encouraging visitors to participate in “Meet the Parks Weekend” with a wide variety of events and activities. 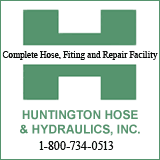 “March is a time when people are starting to look for springtime recreation. Our state parks are the best places to get reacquainted with the outdoors or to learn new things about nature and to get active again,” said West Virginia State Parks Chief Sam England. March 4: View the Babcock State Park webcam (www.babcocksp.com) between 2 and 2:30 p.m. to see something unusual in front of the Glade Creek Grist Mill; take an interpretive “Fish Hike” around the lake at Little Beaver; enjoy an evening hike at Beech Fork; meet Supt. Ben McCune and learn about plans for Holly River; take a guided bird walk at Pipestem Resort. March 5: Sign up as a volunteer spotter for the Eagle Survey of the Pipestem Area at Pipestem Resort; cookies and cocoa will be available at Chief Logan Lodge and a special “Hat Trick” rate will be in effect for overnight visitors; view rock formations and learn about the natural history of Beartown during a nature hike; listen to Ben Leedom and his tree-mendous twig, bark and bud identification talk at Bluestone; meet with Camp Creek staff and check out the popular campground; follow Supt. Mike Smith for a hiking tour of historic Droop Mountain Battlefield; visit Kanawha State Forest’s heated nature center and take one or both planned nature hikes; play yard games like ladder golf and bocce ball at Moncove Lake; take a hay ride, play games and make crafts at Twin Falls; meet at Tygart Lake’s nature center and bring your best friend for a Bark in the Park dog friendly hike; bring your favorite old-time photo of Watoga and post to the “braggin’ board” for a “Memories Happen Here” themed montage; learn about camping, fishing and fair-weather fun at Cedar Creek; climb the trail to explore the Piney Ridge reservoir at Cacapon Resort. March 5 and 6: meet with Seneca State Forest staff for refreshments, conversation and information about rentals of the Thorny Mountain Fire Tower; enjoy a “ranger walk” around Tu-Endie Wei, and an interpretive program about the history of the park; and Wild Thing Weekend at Canaan Valley Resort will have plenty of fun family contests and activities, including the infamous Pond Jump and Sunday Rail Jam. Activities organized and conducted at state parks and forests are typically fee free and provide a recreational and nature interpretative service for visitors and residents of West Virginia. These and other activities in March and throughout 2016 are posted to the website www.wvstateparks.com, Events Calendar.